On Thursday, April 11, from 6:30 pm - 8:30 pm, Helms Bakery District and the Cal Poly LA Metro Program in Architecture and Urban Design are excited to host a presentation and discussion with Jon Lott of PARA Project. 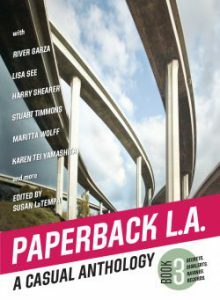 On Sunday, May 5th from 4:00 to 6:00 pm, please join us for a reception and book signing to celebrate the launch of Paperback L.A. Book 3, A Casual Anthology: Secrets. SigAlerts. Ravines. Records. 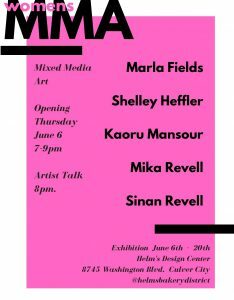 On Thursday, June 6th from 7:00 to 9:00 pm, please join us for the opening reception of WOMENʼS MMA- MIXED MEDIA ART 2019, a five-artist exhibition that packs a punch.